Widespread thunderstorms developed in a warm, very moist northerly airstream ahead of a prefrontal trough lying through central NSW today. A continuous line of storms developed from Batemans Bay to Cobar during the early afternoon, then moved slowly east, crossing the Sydney metro area early evening. Isolated storms also developed during the afternoon along the ranges. Many locations in the central east of the state recorded 50mm or more from the slow-moving storm cells, with Guyra on the Northern Tablelands setting a new all-time daily rainfall record of 90mm, most of which fell between 6 and 8pm causing flash flooding in the town. The main band of storms was extremely active electrically, providing a spectacular light show from the Central West to the Sydney basin. In the Goulburn area, lightning took out the main power feeder lines to Marulan and Bungonia and the Rocky Hill substation in Goulburn, blacking out parts of the city and much of the surrounding area. The slow-moving storms made repair work difficult for Country Energy crews, and power was not restored until Wednesday morning in some areas. At Alectown, 25km N of Parkes, three houses were damaged by wind, though strong winds were not a feature of the event with Deniliquin recording the only significant gust of 87km/h. Local flooding was reported at Alectown and on the Newell Highway south of Dubbo. 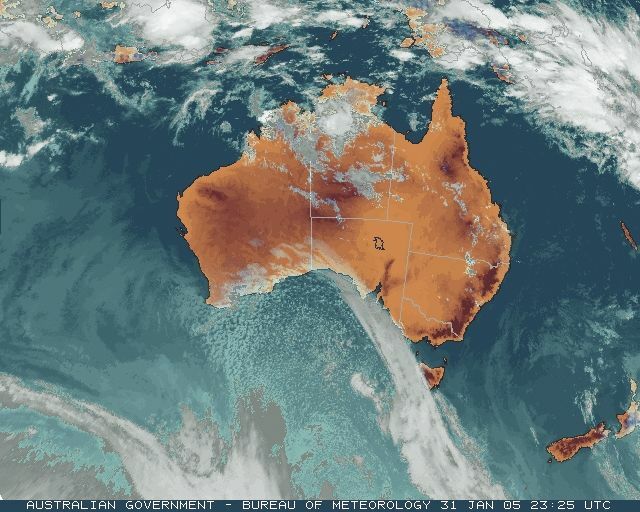 Heavy rain fell in western and SW Sydney, Penrith Lakes recording 44 and Camden 49mm between 9pm and midnight. There were significant falls of up to 70mm in the Warragamba Dam catchment. Details of other heavy falls are in the downpours sections for today and Wednesday. Total storm falls show up in the 24-hour readings to 9am Wednesday. Strong winds caused damage and disruption across much of VIC today. 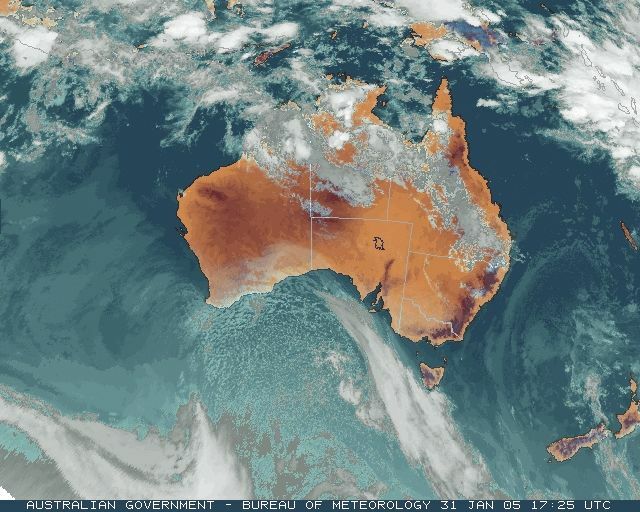 The winds were generated by a strong pressure gradient between a 994hPa low in southern NSW and a 1025hPa high under WA, but were further strenthened during the afternoon as a southwesterly change moved into the west of the state bringing significantly colder air. Temperatures reached into the high 30s, with maxima 8 to 12 above average in most of VIC, but in SA maxima today were up to 12 below average. Wind gusted to 93km/h at Swan Hill in the NW, 85 at Hopetoun in the west and 80 at Redesdale in central VIC. In the Goulburn Valley, an estimated 5% of the fruit crop worth hundreds of thousands of dollars was destroyed by the wind, with ripe fruit, especially peaches, blown off trees. Trees were uprooted and there was minor house and powerline damage in the area. A tree falling across two feeder powerlines at Kangaroo Flat near Bendigo blacked out 9,000 properties for about an hour. Grass and bushfires broke out in the hot and windy conditions near Bendigo, Orbost and Melbourne Airport. Firefighters continued to battle the blaze in Cape Conran Coastal Park in East Gippsland which has so far burnt through 600ha. 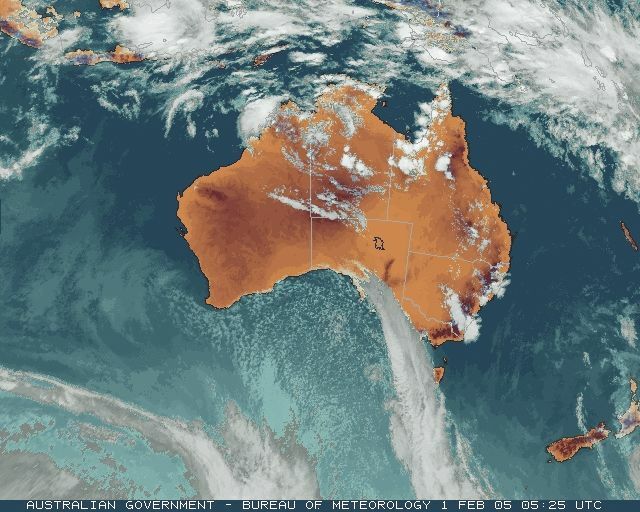 After several weeks of inactivity, the monsoon trough is beginning to fire up again across the NT Top End. 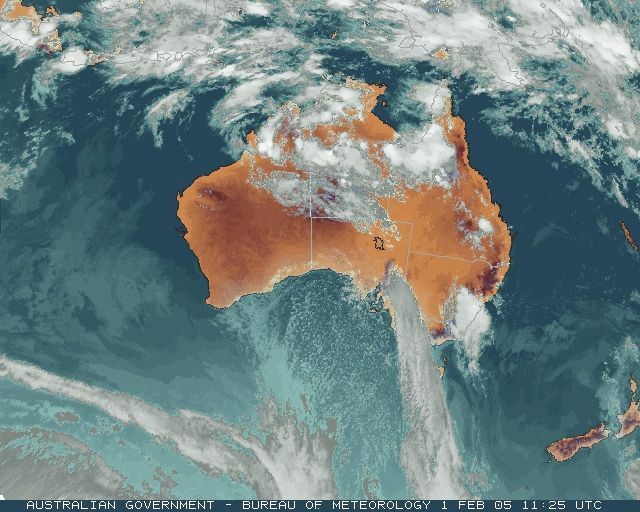 Heavy showers or thunderstorms gave Central Arnhem Plateau 88mm between midnight and 3am. These records are as received at 1143 EST on 09/02/2006. Help in interpreting these statistics and information on quality control is here. Data is as received at 20:12EST, 14/05/2012.